Did you know Shutters are great for hygiene and allergies? Using Shutters over more traditional window dressings such as curtains can really help with allergen reaction throughout the home. Because of the design and wooden material of plantation shutters they help prevent many factors such as dust mites from collection which can sometimes aggravate allergies of your family members. With curtains dust can become caught in the fabric of the curtains which is a main contribute to allergies and conditions such as asthma. With wooden shutters not only does less collect, but they can be quickly and easily cleaned with a simple wipe. Curtains require full washing or dry cleaning to fully remove dust, as dust will quite easily penetrate fabrics. Because of the wooden material and the way shutters are made they do have the edge over fabrics and are easy to care for and wipe down. 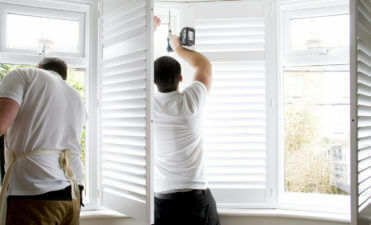 If you compare the time it takes to clean shutters over curtains and indeed some blinds, it is a lot less time consuming. There is no need to remove them from the window and have them separately cleaned and it only takes a matter of minutes to keep them looking brand new, whilst also keeping them dirt and dust free!